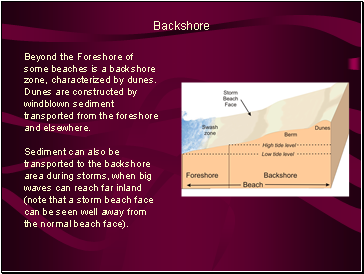 A beach is part of a coastal system, which includes several zones defined by their proximity to shore and the dominant processes that occur within them. 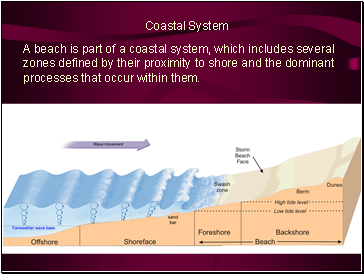 Offshore and shoreface portions of the coastal profile are permanently submerged in water, below the low tide mark. 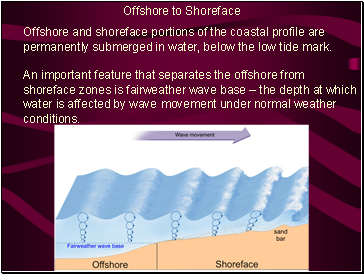 An important feature that separates the offshore from shoreface zones is fairweather wave base – the depth at which water is affected by wave movement under normal weather conditions. 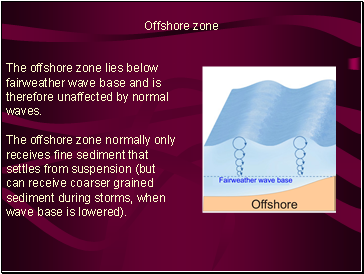 The offshore zone lies below fairweather wave base and is therefore unaffected by normal waves. 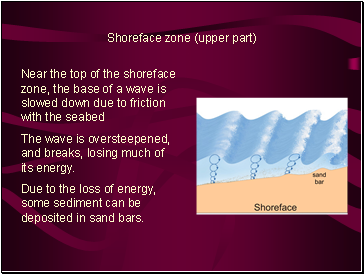 The offshore zone normally only receives fine sediment that settles from suspension (but can receive coarser grained sediment during storms, when wave base is lowered). 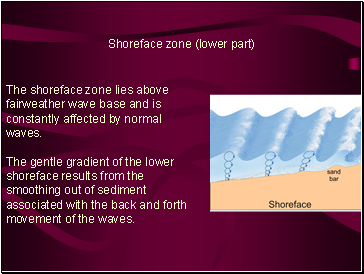 The shoreface zone lies above fairweather wave base and is constantly affected by normal waves. The gentle gradient of the lower shoreface results from the smoothing out of sediment associated with the back and forth movement of the waves. The wave is oversteepened, and breaks, losing much of its energy. Due to the loss of energy, some sediment can be deposited in sand bars. Once a wave breaks, its water moves as a sheet upslope as swash, and falls back toward the sea as backwash. 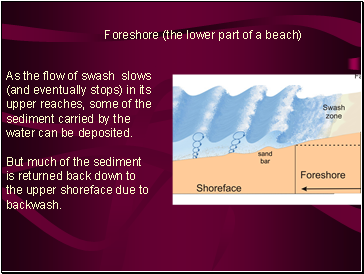 The narrow area in which this occurs is called the swash zone. 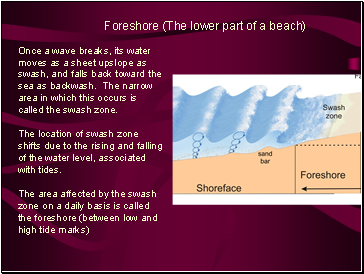 The location of swash zone shifts due to the rising and falling of the water level, associated with tides. As the flow of swash slows (and eventually stops) in its upper reaches, some of the sediment carried by the water can be deposited. But much of the sediment is returned back down to the upper shoreface due to backwash. So where does beach sediment come from ? 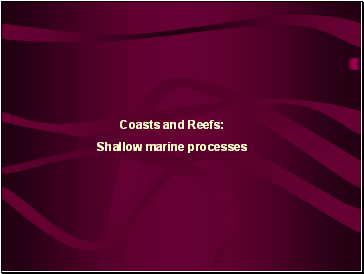 How is sediment transported along a coastline ?